A few months ago, driving down the street, I saw a yellow bicycle sitting in front of a neighbor’s driveway, unlocked, propped up on a kickstand. “That’s about to be a stolen bike,” was my first thought. The next day, I drove by to see the same bike sitting in the same place, still unlocked and ready to be ridden. Over the next few weeks, I saw dozens of these yellow, orange and green bikes around my neighborhood, all sitting in seemingly random places waiting for would-be riders. A few minutes on Google opened my eyes to the budding bike sharing economy, already worth billions of dollars and with millions of riders. This logical evolution of the sharing economy has already seen massive growth globally, well before it reached my block. The availability of bikes all around urban metro areas has been made possible by venture-backed companies that are expanding rapidly with thousands of bikes being made available all over the United States and globally. Bike sharing is an emerging system where people can pay to use bikes for a short amount of time. 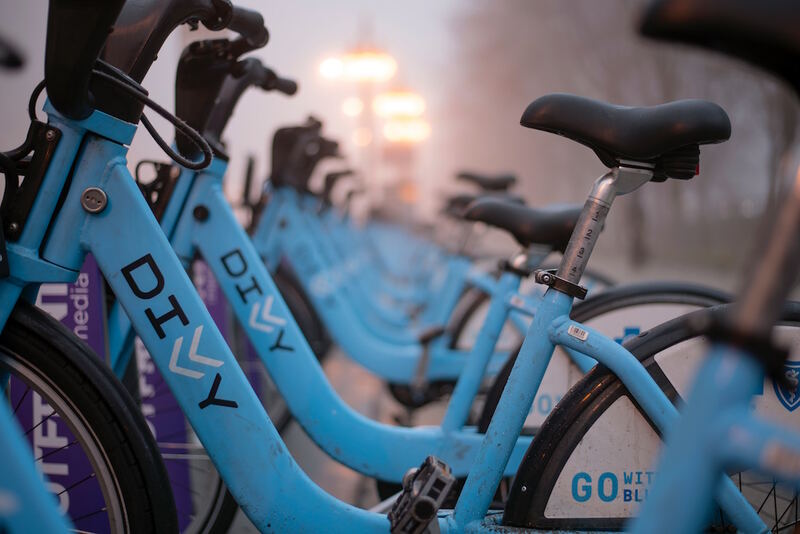 Today, bike shares are typically owned by a company that provides the service and accepts payment, rather than peer-to-peer bike sharing of individual bikes. Bikes are typically stored in public areas where anyone can pick them up and use them by providing a method of payment (usually credit card). 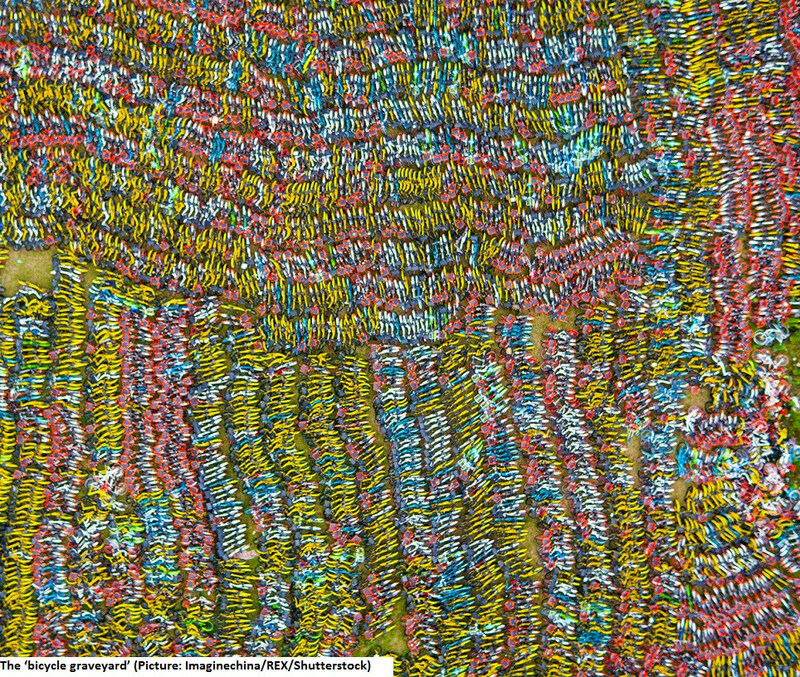 When the bike share user is done with their ride, they return or leave the bike and move on. There are two basic types of bicycles available in bike share programs, docked or dockless. Docked bikes are picked up from and returned to docking stations that are typically found throughout cities, campuses or common transportation routes. Dockless bikes on the other hand don’t require a specific location and are unlocked by mobile apps and left wherever riders no longer need them. While both types require a renter to find the location of the nearest bike or docking station, dockless bikes allow you to drop them whenever you are done riding. You lock the bike with a mobile app and it stays where you drop it until the next rider rents it out. The ease of use and mobile integration are why many people are calling bike sharing the next Uber. One of the more exciting developments in the bicycle sharing space has been the introduction and growth of dockless bike sharing. As Asymco analyst Horace Dediu said in a Slate.com article, “Dock-less is as important to transportation as cellular was to telephony.” Many docked bike share systems are sponsored or subsidized by cities or governments, while dockless services are more likely to be funded by startups, though neither is always the case. Many of these programs were rolled out to happy citizens, but in limited quantities, requiring sizable subsidies and seeing slow rider adoption. Dockless sharing on the other hand has blown up globally. The number of bikes that are flooding into cities every day is exponentially larger than what was previously seen with docked bike programs. Without the need for as much infrastructure and city planning, dockless systems are launching in cities in a matter of days or weeks. So how much does it cost to borrow a bike through a bike sharing service? The answer varies depending on the company, but it typically falls between $1 and $3 per hour, but many of the companies charge a subscription service. The least expensive of the mainstream bike sharing companies is Ofo, which charges $1 per hour. 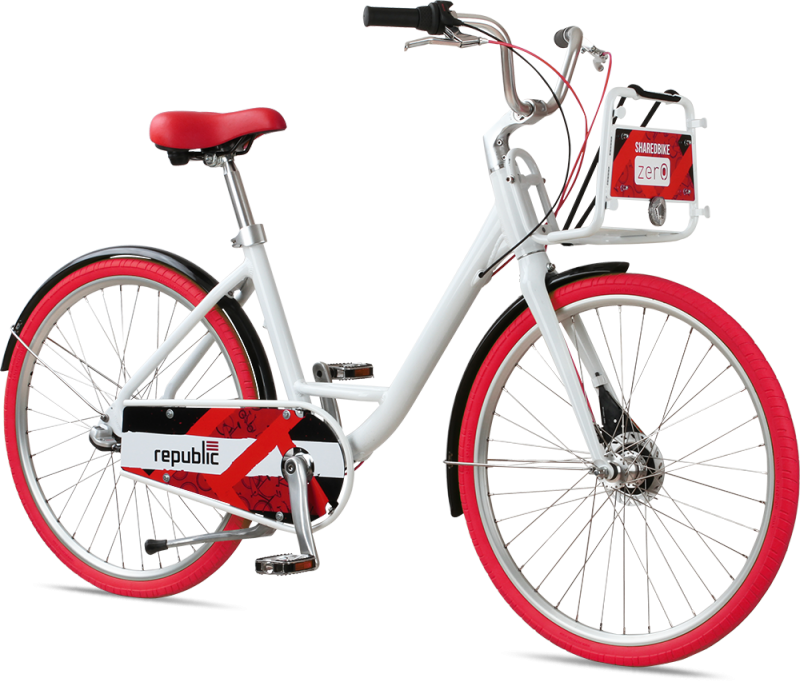 I briefly looked into starting my own bike sharing company when I came across Republic Bike and Lattis Bike Share. I still haven’t figured out their pricing model yet, but it does illustrate the ease with which new bike share companies can launch in the dockless, mobile world. Going through these companies, you can basically order the entire turnkey system and start a bike share in your own city. I decided against it almost immediately because of the competition in my area. The bike share options are pretty dense, plus the companies here are backed by pretty hefty funding rounds. This is probably not something that you can take up as a hobby in a big city. However, it would be great to explore in smaller towns without competition, or on college campuses that haven’t yet been reached by the expanding startups. As an outside observer, I don’t have too much of a crystal ball on this industry. Bike sharing is growing at an exponential rate and reaching more new cities every day. My hope is that it provides another alternative transportation option to go alongside or even displace Uber, Lyft, public transit and driving. I see it fitting into my life as an option for small trips where I don’t want to have a car at the end of the day/night (similar to the way that I currently use Lyft). For anything under 5 or 10 miles, it seems like a no brainer. It’s cheaper than ride share, you get a little exercise, you can be outside and you can drop a bike right at your destination. I’m just praying that it continues to expand, but not so fast that we end up with bike graveyards like China and other more mature bike share markets. I had leased my car out on Turo and dropped it off at Sky Harbor Airport in Phoenix. The airport is about 5 miles from my house. I usually just order a Lyft to get home, but I saw a yellow Ofo bike sitting next to the light rail stop. I decided to give it a go. Registering with Ofo took me about 3 minutes after using my phone to read a QR code and download the app. It asks for some basic profile information and you must enter a payment method (credit card for me). After that, it was another simple QR read to unlock the bike and my trip had started. 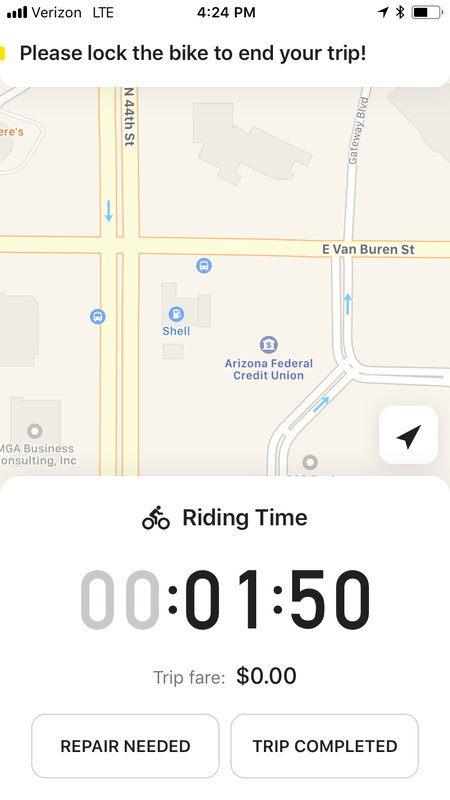 While riding, the app showed me how long I had been riding, how far I had gone and how much I would owe. The app also offers an option to request maintenance on a bike that has broken down, which answered a lot of questions for me about how these fleets get maintained. I got back to my house in about 25 minutes and the ride ended up being free. I expected to pay a couple bucks, since the hourly rate is $2 per hour, but apparently for rides under 1 hour, it’s free. This is an even bigger sales pitch for replacing Uber or Lyft on short trips. Update: The free ride may have also been part of a promotion, but that pricing still hasn’t changed in the months since. Overall, it was a great experience. I saved about $10 on a ride, got a little exercise, enjoyed a nice day outside and got where I needed to go. As a triathlete and fairly experienced cyclist, the bike itself was probably the one area for improvement. It was a pretty hefty chunk of metal that didn’t really shift right, so it ended up being a little bit harder to ride. However, for anything under about 10 miles, it was good enough. I’ll be keeping an eye on the evolution of this industry, but in the meantime, I’ll be pedaling my short trips instead of requesting them.